Expect a different level of plumbing experience with a qualified San Clemente plumber. Our personnel comes fully prepared with everything that may be needed for the repair or installation job, including spare parts, so no time is wasted to get things done. Our aim is to be as non-invasive as possible. When you call us while the problem is still small, we can cut the costs to the minimum. Our service vehicles are equipped with all the necessary plumbing tools, plus replacement parts, so our personnel can perform the required service right there and then. This helps us manage our time better, reducing overhead costs in the process, the reason why we can afford to offer our services at the most reasonable rates. Call OC Plumbing Pros 24/7 at (949) 371-8413. Easy Water Heater Installation and Repairs: We understand how you will feel when your water heater is in trouble. Nevertheless, before you start shopping for a new unit, have our team over to check if repairs can still be done or if purchasing a unit is imminent. So, while you may want to entertain the idea of getting a new heater, call us first, and let us see if it is still practical to repair your unit or ditch it for a new one. For instance, when you buy a new one, it may cost you upwards of $1000 plus installation costs. Drain Cleaning Services To Unblock Clogs: Cleaning drains is a task that is often left out, only to regret it later when the water is pooling in your kitchen sink. But then again, that’s nothing new as homeowners are typically not proactive when it comes to any part of their plumbing system. Rest assured, though, that we know just what to do in cases like this, and because we have access to the most modern tools and equipment, we can ensure flawless solutions to keep the drains open. This means we can localize the repair, and don’t have to replace all your pipes. Accurate Leak Detection and Repair: Not all leaks, slab leaks, especially, are easy to find in your San Clemente home, but our experts know a leak when they see them, even if you do not, and we repair it too. Be mindful to check your water bills and see if there is a significant increase in the amount due because that can mean there is water leaking around. When you experience a sudden increase in your water bills, and as far as you know your water consumption is the roughly the same as last month, chances are, there is a leak somewhere. If we can save you a lot of money, then we go home happy. Emergency Plumber San Clemente – Call Us Now! Re-piping, Plumbing Installation and Repair of Garbage Disposal: Our technicians are adept at anything in the plumbing system. If you need to install new pipes or reroute old pipes in case of building renovation, we can lay down the plans and send you the blueprint the soonest possible time. Our licensed plumber can also fix your leaking garbage disposal, or set up a new unit in your home. Therefore, give us a call and we will see if your unit can still work just fine after repairing it. Worry Not About Toilet Installations and Repairs: You can always count on us to give you peace of mind as we work on your toilet issue, whatever time or day it is. A dysfunctional toilet can spell bad news for your health, too, especially if there is water leaking out of it in your home. One of the worst things that can happen in the home, workplace, or any establishment, for that matter, is when a toilet breaks down. 24/7 Hotline at OC Plumbing Pros – Always Open to Serve You: We realize that plumbing emergencies can catch you off-guard, thus we make sure to be around 24/7 to render the necessary assistance. As soon as you notice anything that is not quite right with your plumbing system, give us a call so we can respond at once. Plumbing issues can affect your daily activities, and, when not fixed right away, they can have unfortunate effects not just on your property, but on your health, too. Call Our San Clemente Plumbers Now! 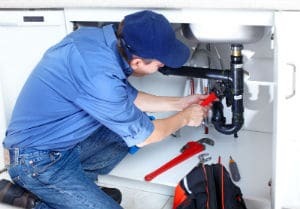 Our plumbers are continuously trained to keep up with the demands of the time, and they can share with you whatever knowledge they have regarding plumbing maintenance. Give our plumbing contractors a call and you will understand why we come highly recommended in the area. We require excellence in all our undertakings, including our customer service. Call us and let us tell you more about our plumbing repair and installation services at OC Plumbing Pros. Call us today at (949) 371-8413!